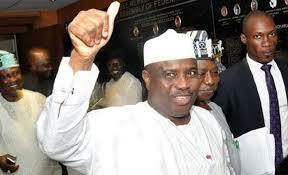 Tambuwal wins Sokoto’s governorship election – Royal Times of Nigeria. The Independent National Electoral Commission (INEC) has declared Governor Aminu Tambuwal winner of the governorship election, after Saturday’s supplementary poll. He defeated his close rival Alhaji Ahmad Aliyu of All Progressives Congress (APC) by a small margin of three hundred and forty-two votes. 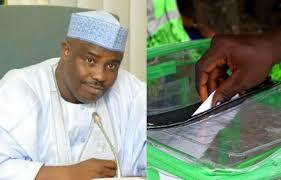 According to the Chief Collation/Returning Officer, Prof. Fatima Mukhtar, Tambuwal polled a total of five hundred and twelve thousand and two votes after the twenty-five thousand, five hundred and fifteen votes he got from the supplementary elections were added to the number of votes from the first exercise held on the ninth of March. Aliyu was the former Deputy Governor in the state. Tambuwal, after the announcement, assured of running an all inclusive government that would move the Sokoto state to purposeful heights with opportunities for all.